Can Victims of Georgia Fast Food Restaurant Violence Seek Justice and Compensation? A staggering number of violent crimes are plaguing fast food restaurants across the country. It’s time owners and managers make the safety and security of staff and customers their first priority. 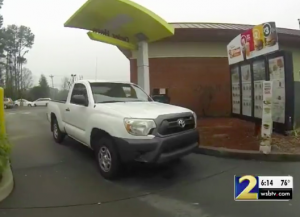 In February 2018, WSBTV 2 reported, Juan Rosas was shot and critically injured in the drive through of a Duluth McDonald’s. In July 2018, Lavonda Finklea, a mother-of-three, was tragically shot and killed while parked outside an Atlanta Burger King, per WSB-TV 2 reports. [Sgt. Eric Rogers] also said late night drinking plays a role in the violence. Cops say there are some special tactics that have helped reduce the violence, like at a local Jack in the Box. “For the first three months of 2017, we had 44 calls at that establishment,” Rogers said. When Jack in the Box agreed to close the indoor dining area after midnight during the week and only keep the drive-thru open, calls for police service dropped to only three in the next three months. Restaurant patrons have a right to feel safe and secure while on the premises of the establishment they are visiting. By law, Georgia property owners are required to protect all patrons legally on the premises from any foreseeable harm. For example, should a restaurant owner have knowledge of prior crime on or near property, they have a responsibility to implement reasonable security precautions to protect patrons from future crime. Security measures may include: bright parking lot lighting, drive-through-only late-night hours, a visible security guard or off-duty police officer, visible sight lines, and surveillance cameras. Should a restaurant owner fail in this critical duty, they may be held civilly liable for any assaults, injuries or wrongful deaths which occur as a consequence. We Fight for Victims of Restaurant and Parking Lot Security Negligence in Georgia…Contact us Now for a Free Consultation.